Obsolete: Last Daily Sport reader found on the moon. So. Farewell Then to the Daily Sport. 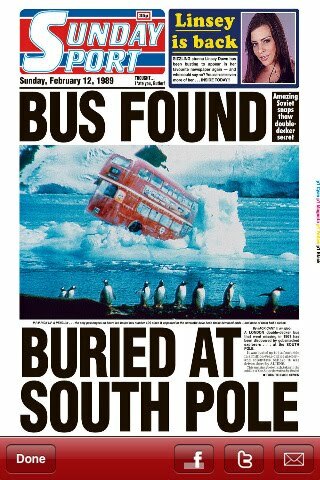 Unlike some others, I was genuinely sad for at least a couple of moments on hearing of its passing - not because I ever read it, if indeed you could in the proper sense of the word, more for the simple fact that back in 2006 it had more humanity than the rest of the tabloids combined. It was also at least honest at what it did, was shorn of the inherent contradictions and hypocrisies which plague the other filth sheets, and meant less money was being shovelled into the pockets of Richard Desmond and Rupert Murdoch. In any case, who could possibly hold a grudge against a national newspaper that gave us this for prosperity?